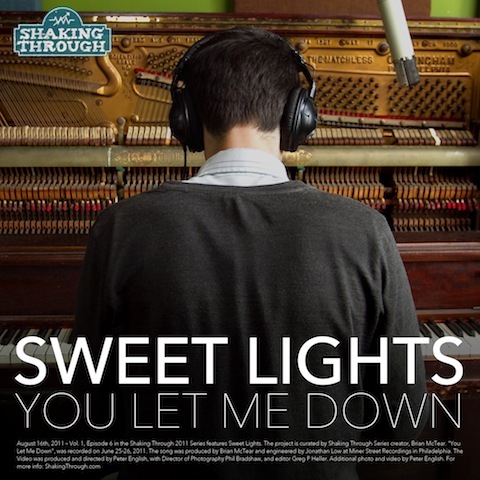 Philadelphia solo artist Shai Halperin aka Sweet Lights that Erika posted about last year here sent us his latest track "You Let Me Down" that they are giving away. A pretty E.L.O./Beatle-esque track that apparently he recorded in one day. Pretty amazing. Lovely soothing indie pop tune that I think you guys will dig. Grab the mp3 below and check out a vid/interview he did for Shaking Through that shows him doing some of that work in the studio that day.